100% British milk. 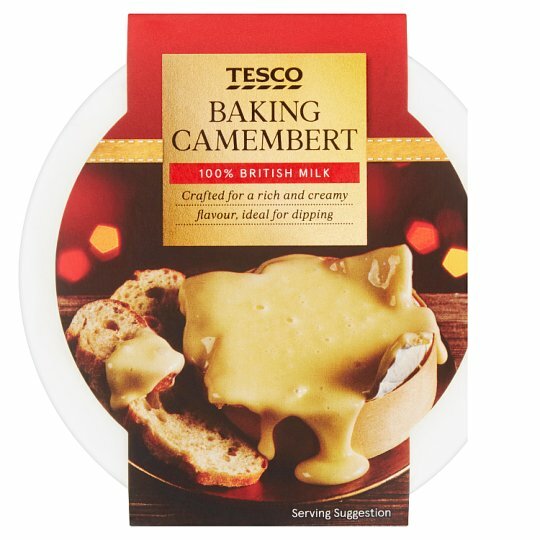 Crafted for a rich and creamy flavour, ideal for dipping. Keep refrigerated. Once opened, consume within 5 days and by 'use by' date shown. Instructions: For best results, oven heat. 1. Pre-heat the oven to 170°C Fan , 190°C oven, gas mark 5. 2. Remove packaging from the cheese and place in the wooden baker provided. 3. Make a 2” cross in the top of the cheese portion with a knife. 4. Place on a baking tray in the centre of a pre-heated oven for 23 minutes. 5. Remove from the oven, peel back the cheese rind and stir thoroughly. 6. Return to the oven for a further 5 minutes. 8. Remove from the oven. Stir before serving. Do not reheat. All appliances vary, these are guidelines only.